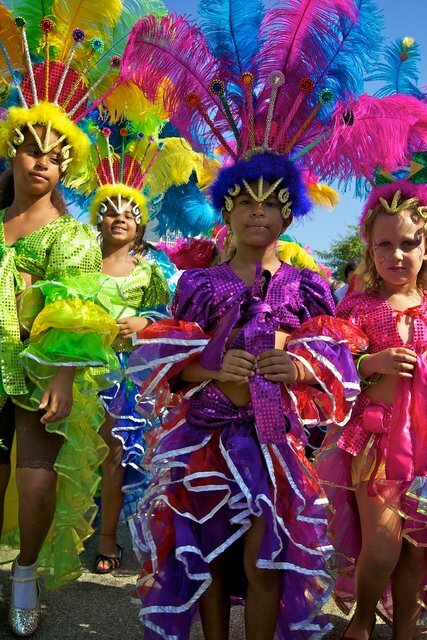 Doris designs new costumes for children each year for the Brazilian carnaval in Los Angeles and each year they get more and more elaborate. This year's costume is quite beautiful and fits years 4-9 depending on the size of the girl. Hat, shirt, and pants for the "Malandro" style. 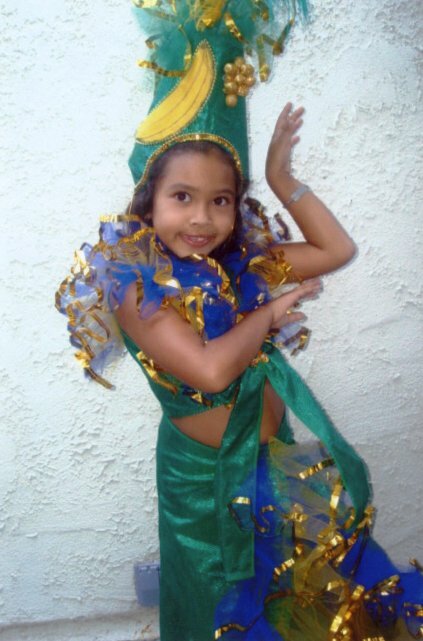 Child's passista (samba dancer) costume with top and skirt and a hat. 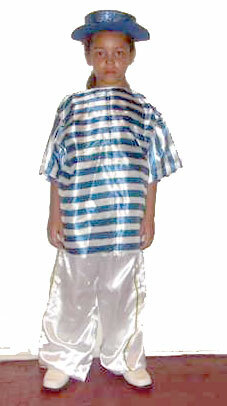 Child's Carmen Miranda costume with hat, top, and skirt wrap.